Superdry women's Zoe tie top. This floaty style top oozes versatility and is sure to become your new day to night hero. 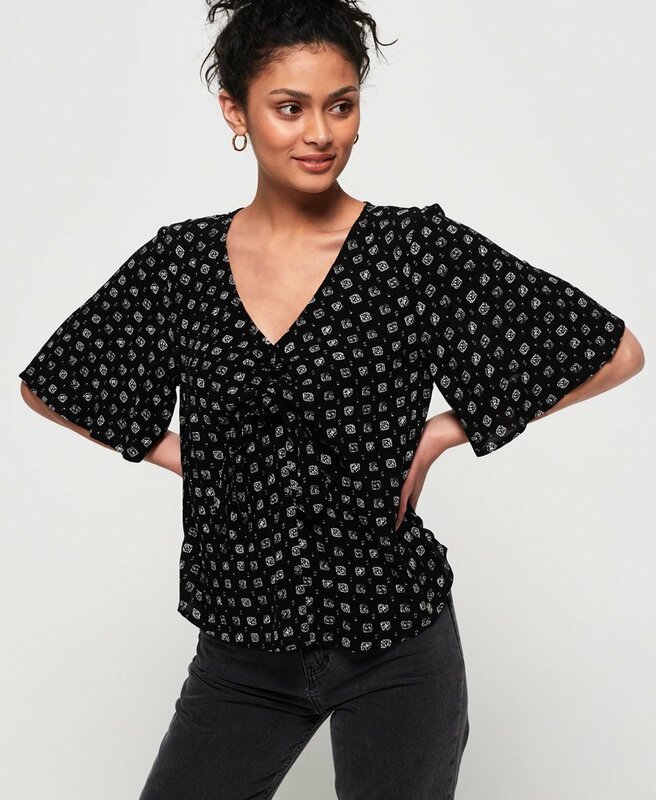 Featuring a tie front and subtle metal logo badge on the hem, pair this top with cut off shorts and sandals in the day and swap to jeans and wedges for an easy evening look.